If your neighborhood wine merchant features “Staff Picks” or wine critics’ recommendations, I suggest browsing those selections for new finds and, often, great values. That’s how, from South Africa, my travels via wine led me to the Spanish realm and the 2012 Godelia White. Not only is the Godelia property situated in a wine region I’d not heard of—El Bierzo—the grapes were unfamiliar to me. This white is an 80%-20% blend of Godello and Doña Blanca. El Bierzo, a small, mountainous region due east of Galicia in the country’s northwest, is apparently carving out its identity as a serious source of wine. While Godello is the signature white grape of the area, on the red side it’s Mencía—the grape of the exalted wines of Ribeira Sacra, down the road a bit west of Bierzo. Perhaps the poor man’s Albariño, Godello-based wines can provide the fruitiness and acidity of Galicia’s higher-profile whites, at a sweeter (lower!) price. Doña Blanca (Dona Branca in Portugal) is not generally grown outside the Iberian peninsula. A thick-skinned grape, it was used to produce white Port but now is more commonly blended with other whites to make table wines. On the nose, I got a cloud of sea air and minerals. It drinks with a tang of citrus. Beautiful, and only $14 (Buy Rite)! 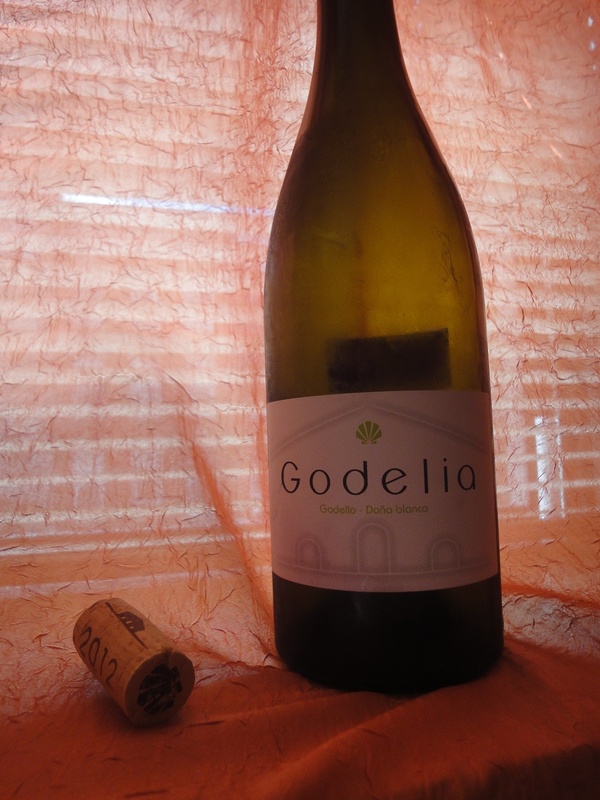 Godelia also produces, under their Selección label, a 100% Godello as well as several 100% Mencía wines, including a sweet rendition named Libamus. I’ve been doing a lot of vicarious traveling lately, through my local wine stores, sallying forth to explore white-varietal progeny of some lesser-explored wine-producing regions. I’m happy to recommend two recent finds from my first stop, South Africa. To the South Africa aisle I went, in pursuit of Chenin Blanc—the wine that long dominated that country’s production, until the industry in recent decades became more cosmopolitan and began responding to global tastes for varietals like Chardonnay, Cabernet Sauvignon and Merlot. From the Stellenbosch, I’m loving the Simonsig 2012 Chenin Blanc (and loving the price, $12 at Jersey City’s Buy Rite). The Simonsig estate, long owned by the Malan family and currently operated by several Malan brothers, produces a wide array of varietals, red and white. 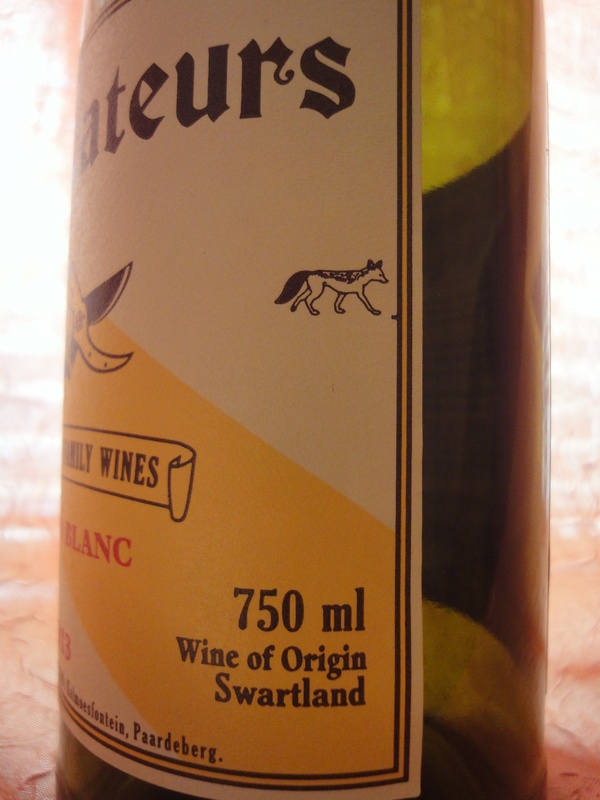 Its Chenin Blanc was the first wine brought to market by founder Frans Malan in 1968. The winery describes it as full bodied and I agree. With a nose that’s soft and earthy, the wine tastes almost smoky. On a musical scale, I’d place it in the low notes. An absolute bargain at this price. Moving northwest from the Stellenbosch, due east of Cape Town, to Swartland in the Cape’s coastal region, I found Secateurs Chenin Blanc, made by A.A. Badenhorst Family Wines. As they say on their website, Badenhorst is “owned by the dynamic and good looking cousins Hein and Adi Badenhorst” and specializes in natural wines made in the traditional manner. Secateurs is Badenhorst’s second-tier brand (besides Chenin Blanc, they make a Secateurs red blend of Cabernet Sauvignon-Carignan-Cinsault-Grenache and, occasionally, a rosé). Secateurs is a pruning tool, and it’s pictured on the label. 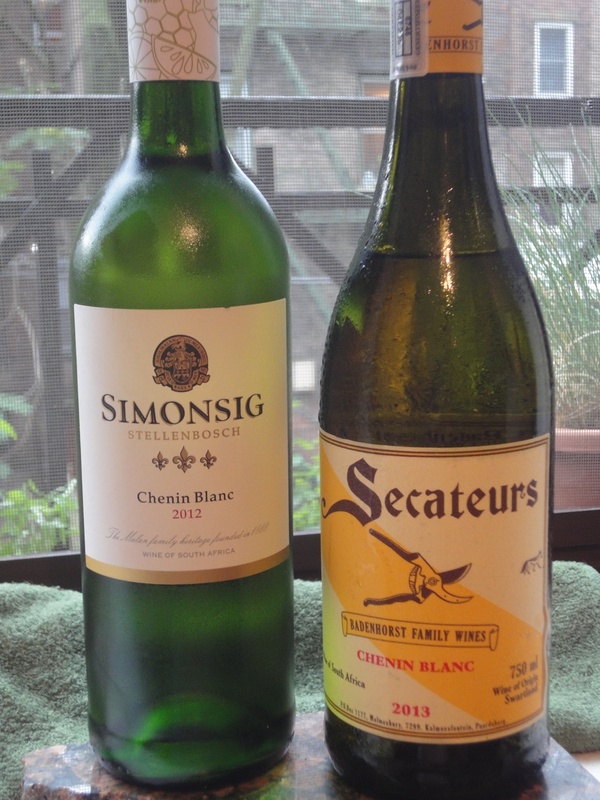 The Secateurs 2013 Chenin Blanc is a wine with verve. Just this side of effervescent, it shimmers on the palate like the best, crisp Sauvignon Blancs. On the nose, it gives off a bright whiff of sea salt. Another fabulous deal, at $13 from Buy Rite—especially considering it’s won high marks from critics (e.g., 92 points from the Wine Advocate for the 2012 vintage). I loved both wines when consumed alone, on different days, but made a point also to drink them side by side for comparison. Against Simonsig’s low notes, the Secateurs plays in the high notes. Rich versus vivid; round versus sparkly. Try them yourself and let me know what you think! Char-grilled meat, anyone? Steak, of course, chicken too. Heck, meaty eggplant or portobellos also work. As long as there’s that crusty char—and bonus points for a sharp, spicy sauce or marinade—then you have what, in my opinion, makes a great summer-time pairing with a rustic red from southern France. 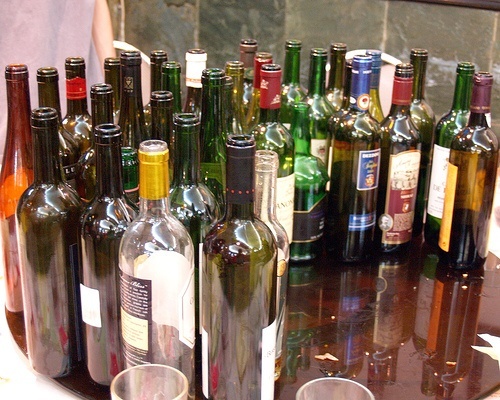 “Received wisdom” designates whites and rosés as the default warm-weather wines. But, with some foods, only earthy reds will do. Furthermore, if you’re like me, and savoring memories and/or wishes of a past or future trip to Languedoc-Roussillon, then you’re looking to discover good values from this region in any season. I was sharing some experiences from a recent trip to the area when I last posted here. (An unexpected death in my family followed by a period of general discombobulation knocked me off my blog-writing routine in recent months.) Since then, I continued exploring the region, viticulturally, so it’s worth giving a shout-out to a few wines I’ve especially liked. 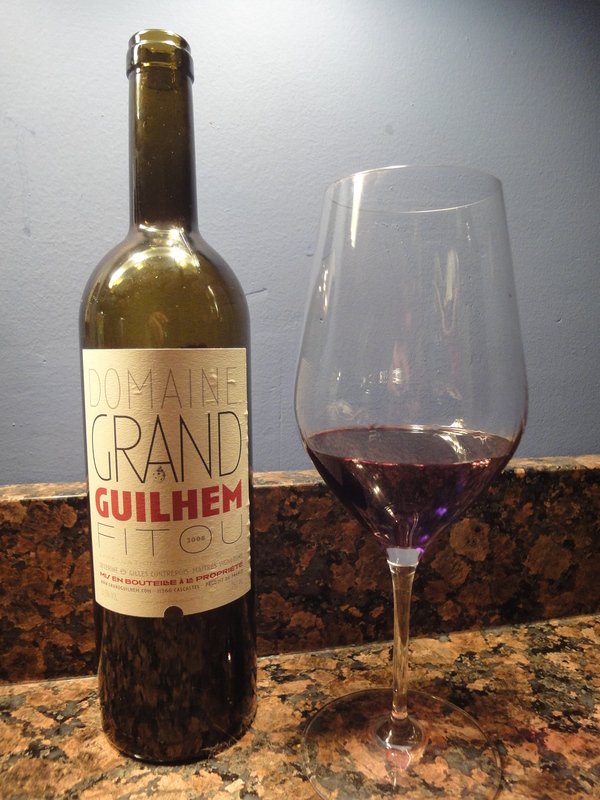 Here is one: Domaine Grand Guilhem Fitou. I tried the 2008 vintage ($18 from Sherry-Lehmann), a 47% Grenache Noir-40% Carignan-10% Syrah-3% Mourvèdre blend. Its intensity could be fading, so I’d look for a later vintage next time for comparison. The wine has a sharp nose, stony and mossy, giving an impression of entering an underground cellar. But don’t let the nose deter you. While the finish wasn’t long, on the palate the wine is at once smoky, pruney and vegetal, depending on whether and how long it is decanted. For me, knowing something about the winemakers enhances my appreciation of the product. Domain owners and winemakers Severine and Gilles Contrepois secured organic designation in 2004 for their 25 acres of vineyards. The property sits in Fitou, an oddly bifurcated (into two non-continuguous areas) appellation of Languedoc between Perpignan and Narbonne, near the village of Cascatel. I’d love to try Grand Guilhem’s other wines (Corbières white and rosé, and three vins doux), but they’re hard to find in the U.S. When you order a glass or open a bottle of wine from the Languedoc-Roussillon region, what should you expect from the drinking experience? That’s a question I’m still trying to answer, following a whirlwind trip through the region. I’m having trouble summarizing the qualities of the various local wines—whites, rosés and reds—I sampled there. Another sweeping statement you can safely make about these wines is they rely on grapes that do well in warmer climates; not a Pinot Noir vine in sight. Beyond that, thanks to a diversity of vineyard altitudes and microclimates, grape varietals and blend combinations, and levels of quality, the wines of Languedoc-Roussillon—one of France’s 27 regions and a southernmost one—need more finely-grained parsing to try to figure them out. Eastern Languedoc – appellations include (but are not limited to) Faugères, Coteaux de Languedoc, Costières de Nîmes; mostly reds, may remind you of southern Rhône or Provençal reds; grapes include Grenache, Syrah, Mourvèdre. 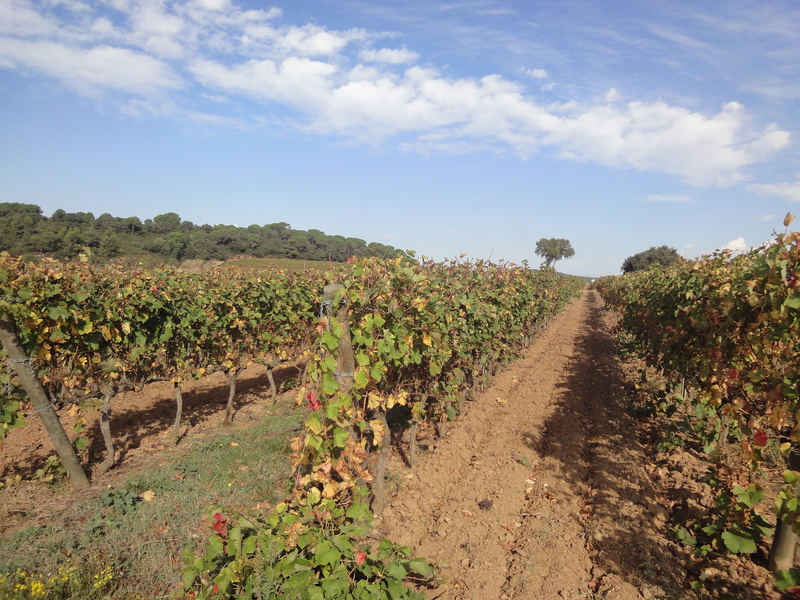 Western Languedoc – among its appellations, Corbières, Minervois, Limoux, Fitou; reds from the northern part can be Bordeaux-like while those made farther south (e.g., Corbières) are typically rougher; varietals grown include Grenache, Syrah, Carignan and now even Cabernet Sauvignon and Merlot. Roussillon – primary appellations Côtes du Roussillon and Côtes du Roussillon-Villages; Carignan the traditional red grape here but Grenache, Syrah, Mourvèdre, Cinsault now common as well; some decent whites made here, from grape varieties including Malvoisie, Maccabeu, Roussanne, Marsanne and Rolle; also known for its sweet wines, Vins Doux Naturels (VDNs), including Muscat. 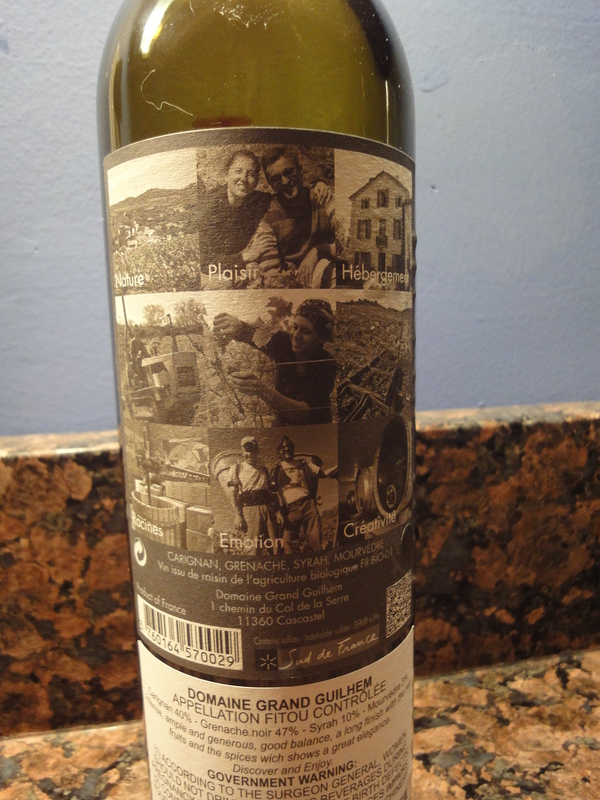 I’ll have more to say about the Languedoc-Roussillon wines I drank there and what I thought about them; stay tuned. Such is the landscape of Languedoc-Roussillon, from which I have just returned. It was my first, and a whirlwind, circuit of the southernmost part of this ever-more-booming French wine region. The grapes had just been harvested the week or two before, one of the later harvests of recent memory, people told me, so what was on view to travelers like me and my trip companion Marsha as we whirred by on the well-maintained (no matter how remote and narrow) roads were the de-fruited vines, leaves turning to autumn-yellow and orange. You read that Languedoc-Roussillon is the world’s largest wine region, with more than 700,000 acres under production, but it takes the physical experience of seeing its vineyards stretching to the horizon in all directions, across all terrains, flat and hilly, to comprehend this fact. Such concentration of grape production is not necessarily a good thing, however, in terms of wine quality and price. The area’s historic high production of juice translated into wines that were not just thin; many were outright bad, France’s black-sheep wines. To address the downward price pressure Languedoc-Roussillon’s overproduction was exerting on European wines in general, E.U. incentives in recent years have prompted growers to rip out vines. So the region’s wine-making practices have been changing: yields are down, the ratio of grapes to extracted juice has risen over the past decade. Younger winemakers are being drawn to the area, in some cases shunning AOC rules in order to experiment with grape varietals and production techniques. Our circuit of the area extended up the coast from the Spanish border to Perpignan, straight north from there into Hérault, then meandering southwest through the Minervois and Corbières areas of Aude, to end in the lower reaches of Roussillon’s Pyrénées-Orientales department. 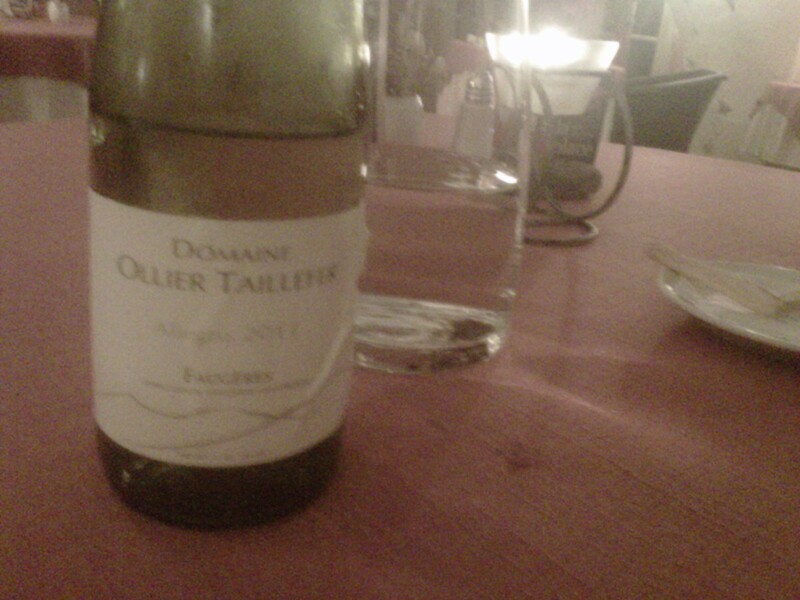 We drank a bit of white, rosé and red, and enjoyed several fabulous meals. Stay tuned: more on my Languedoc-Roussillon experience in the days to come. Still thinking about how restaurants show their love for wine and, therefore, wine consumers . . . .
Wine lists are an obvious expression of how much an establishment cares about wine and those who will buy it from them. Some restaurants go the extra mile by hosting dinners with winemakers and other wine-themed events. But nothing says I want your business more than a great deal. I happened on one recently, at the Houlihan’s at Castleton in Indianapolis. It happened to be a Tuesday, which means all bottles on their wine list, all day, are half price—which makes most of them a few dollars over retail. And if you can’t finish the bottle then and there, they’ll recork and seal it up, so you can cart it home without violating open-bottle laws while driving. Granted, you don’t go to Houlihan’s for its stellar wine selection; but the list in Indianapolis featured were solid stand-bys in all categories. My $16 Kendall-Jackson Grand Reserve Chardonnay was perfect for an Indian Summer evening, sitting on the patio as the sun descended in the west. Note: Half-price Tuesdays is not a chain-wide policy; the Houlihan’s nearest me in New Jersey has no such bargains. Yet there is a tantalizing possibility across the Hudson, at the newish Domain NYC restaurant on the upper Broadway. I happened to hear that the restaurant, which touts its organic and sustainably farmed meats, fish and produce, sells its wines for half price on Mondays and Tuesdays. It’s a decent, international list, with the most diverse selections among the reds. The idea of paying $17 for a 2008 Domaine Devignes Chablis, $34 for a 2008 Tinto Pesquera Ribera del Duero, $87.50 for a 2006 Silver Oak Napa cab: well, I’ll be there soon. How wine-consumer-friendly is that restaurant you’ll be dining at tonight? BYO establishments are the pinnacle of oenophile-friendliness, but most of the time we choose a restaurant based on its food and make the best of the wine list it offers. Here are a few guidelines that can help you judge whether a restaurant genuinely loves wine and wants to encourage its guests to sample its selections. 1 – Is the current wine list posted online for advance perusal? 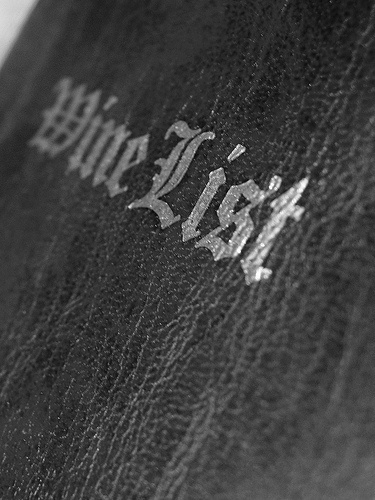 While most restaurant websites now post their food menus, not so many include their wine lists. It’s a plus, though, to help you set your spending expectations, gauge markups and search out interesting bottles. Of course, if you order a wine you identified from your online research and the server tells you it’s no longer available, you’re up against my next criterion . . . .
2 – Is the list accurate and up to date? How many times have you ordered a bottle only to be informed that the wine is sold out? Or, even worse, your server presents a bottle of a different (typically younger) vintage than what is listed (although this scenario can occasionally work in your favor, if the replacement bottle would normally command a higher price). These situations depict a restaurant that’s not paying enough attention to its wine list. 3 – What does the list offer for under $100? Affordability is one aspect of consumer-friendliness, and countless restaurants make the grade by this measure. At some of my favorite go-to places, all the wines are below—and often well below—$100. Yet eye-popping (price-wise) wine lists, usually at restaurants with food prices to match, can still be appealing, as long as they include a variety of less-expensive options across categories. And three-digit bottle prices, particularly for older wines that have been in storage, may actually be reasonable, if they are comparable to or barely above retail. Which leads to the issue of markups . . . .
4 – How large are the markups over retail? Aggressive restaurant markups infuriate wine producers, especially smaller ones, who see markups as a way to discourage consumers from trying their product. 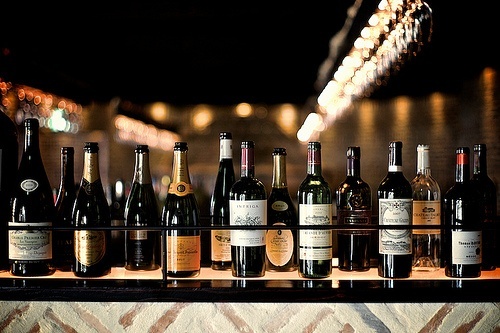 Restaurants as a rule mark up their bottle prices by at least 2 and sometimes up to 3 times the average retail price, although markup percentages vary tremendously, not only across the restaurant industry but even within a wine list, with lower-end wines often priced at higher markups than more expensive bottles. Savvy diners who feel they’re being suckered if they choose a bottle that’s excessively marked up can do quick research at the table, via smartphone or tablet, or in advance for those lists that are posted online, to find the going retail rates for wines they are considering. And there are restaurants known for their low-markup policies. Landmarc in Manhattan, for one, and some identified by the WSJ’s Lettie Teague. Diversity of offerings; unusual bottles that are difficult to find—these attributes can also distinguish great from mediocre wine lists. Any lists that stand out in your experience? I’d love to hear about them. Okay, I admit it: I love big, complex California Cabernets. I know that style of Cabernet Sauvignon has fallen out of fashion lately, in favor of more-austere, lower-alcohol Cabernets of Northern California’s yesteryear (pre-1990s). I like the more-restrained Cabs as well, but in my mind the rich, fruit-laden offerings of Napa Valley will always have their place. They do, after all, accurately express Napa’s hot, sunny climate, just as many Cab-dominant Bordeaux reds reflect the comparatively cooler weather of that growing region. 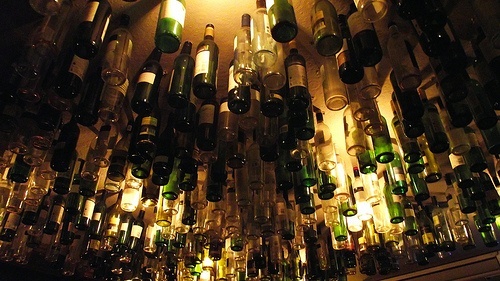 Some critics may define fruitbombs as those Cabs that are not complex; what makes them objectionable is the one-note blast of excess alcohol and lack of multi-dimensional fruit on the palate. Yes, such wines are produced and often sell for eye-popping tariffs. But I’m defending the big Cabs that exude their terroir and the summer sun that nourished their grapes. Many such wines are made in relatively small quantities by non-marquee producers, and it’s fun to discover ones that are new (to me). Such as Branham Estate Wines’ Napa Valley Cabernet Sauvignon. I found it last December, at Kahn’s Fine Wines in Indianapolis. The bin of Branham 2009 Napa Cab was displayed with a laudatory description and, although the $39.99 price was a bit more than I was planning to spend for a bottle to keep in our hotel room, it was Christmas, after all, so why not a small gift for ourselves? I subsequently learned that winemaker Gary Branham, who established the business in 1994, grows—in Sonoma and Napa Counties—95% of the grapes he uses to make his wines, which also include Zinfandel, Petit Sirah and Pinot Noir. But his Napa Valley Cabernet is his first-born (and perhaps favorite? ), with the first vintage produced in 1999. 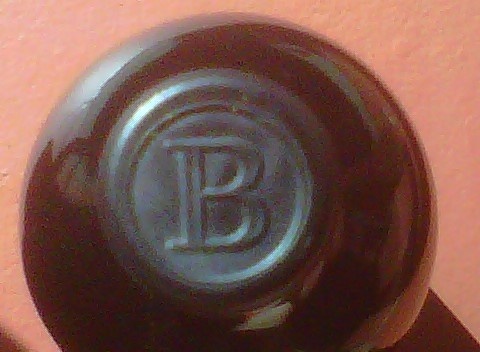 I couldn’t find production number for 2009, but Branham made 300 cases of the 2011 Napa Valley Cab. 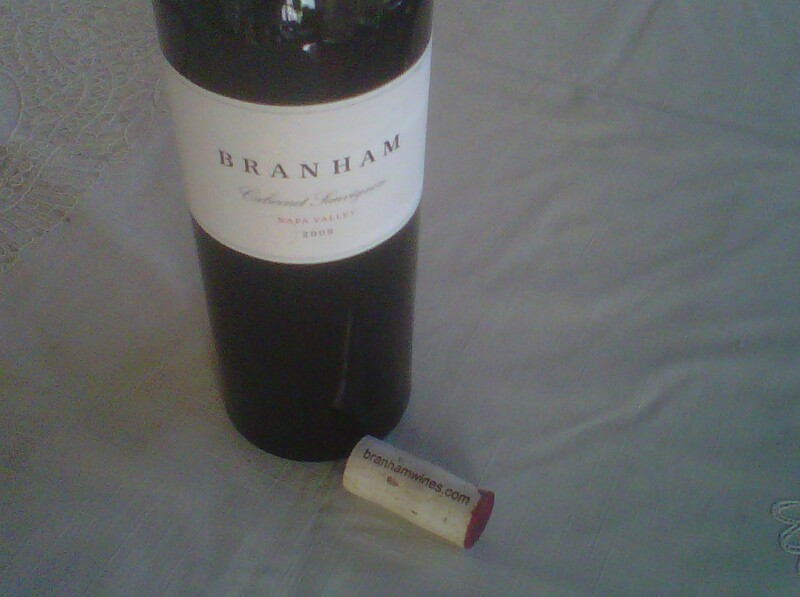 I purchased another bottle of the 2009 Branham last week, again at Kahn’s while in Indianapolis. It was alongside bins for the 2008 and 2010 vintages (the latter bin was empty), although Kahn’s website no longer shows those vintages to be available. It was as delicious as I remembered it. The dark ruby color in the glass and cherry on the nose portend the deep, full experience on the palate: some tobacco and dirt upon opening, with a lingering flavor of tart cherries as you drink through a glass. That’s a fruitbomb I can love. As I was saying, cheers to making wine tasting the centerpiece of a party. I’m all for organizing a tasting around a theme, to give you and your guests a chance to learn something new about your preferences or about wines in general. One grape, different regions/countries: for wine grapes that are successfully cultivated across a range of geographies, side-by-side comparisons can be revealing. There are many wines for which such tastings would be easy to arrange: Cabernet Sauvignon, Chardonnay, Syrah/Shiraz, Pinot Noir . . . .
One grape, same region: if you want to focus on Oregon Pinots or German Rieslings, Piedmont Nebbiolos or Tuscan Sangioveses, this is a chance to compare producers and vintages. National suite: here’s a way to showcase an array of wines—sparkling, white, red, perhaps rosé—from a particular country. The list of nations with sufficient wine variety is long and growing—and getting more interesting. Invite adventurous friends for an evening of Brazilian or Croatian wines, or stay more traditional with all-Italian, –Spanish, -French, etc. Same vintage, different producers: otherwise known as a “horizontal” tasting, this scheme can be as tightly defined or wide open as you choose, from 2010 red Bordeaux under $30 to 2009 Cabernet Sauvignons from all over (or Napa Valley only). No matter what you taste, enjoy. Fall party season is upon us. Many events are benefits for various worthy causes; others are parties for pleasure’s and friendship’s sake. If you’re hosting, you can simplify the planning—and possibly wow your guests—by building the party around a wine concept. If you need to keep your costs in check, make wine assignments in advance: ask each guest/guest-couple to bring a bottle of a certain type, region or price point, in accordance with your party theme. Blind tasting: concealing the identity of the wines you’re serving, by wrapping the bottles or, if color is not a tell in your blindness scheme, decanting them, can add some geekiness to a party—can your guests distinguish a $15 wine from a $40 one, a Merlot from a Cabernet Sauvignon?—and challenge those who are savvy oenophiles. Price – Pick a regional varietal (Napa Cabs, New Zealand Sauvignon Blancs, red Bordeaux, for instance) and offer a bottles at prices ranging from $10 to . . . $30, $50—whatever maximum you’re comfortable with. Type – Blindfolds required for this approach. Researchers say even seasoned wine tasters can confuse reds with whites with rosés when they can’t see what they’re drinking. I can’t speak from personal experience but am intrigued by the idea. Grape – You can present a range of reds or of whites, or some of each, but each bottle should be a different grape varietal. For example, Pinot Noir, Tempranillo, Sangiovese, Petit Verdot, and Gamay. Who can tell which is which? Country – the same varietal but from different countries/regions. Cabernets from Chile, Argentina, Australia, South Africa, California. Rieslings from Long Island, the Finger Lakes, Germany, Austria. How geographically sensitive are your guests? This approach elicits active participation, as guest-tasters weigh in on their hunches and can rank their likes, so it can be an ice breaker when people in the room don’t know each other. Be sure to organize your identification system ahead of time and label the bottles or decanters carefully.